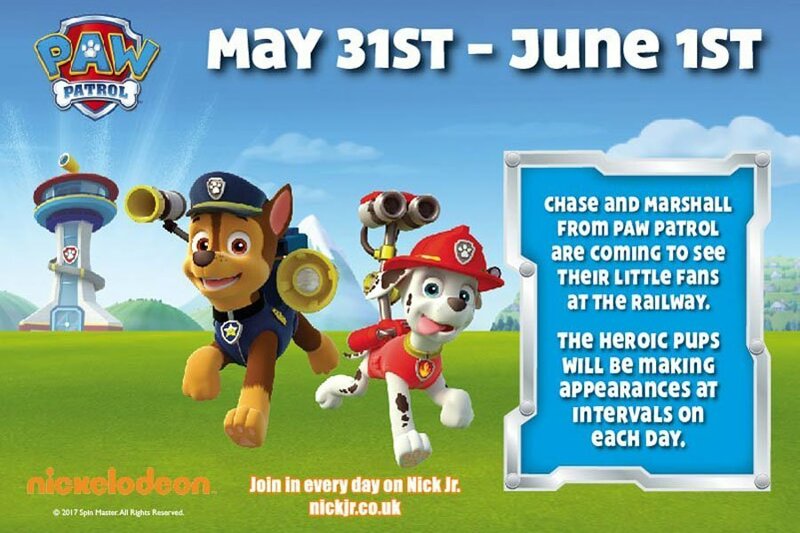 Join Keighley Worth Valley Railway on May 31st and June 1st 2017 as Chase and Marshall from Paw Patrol are coming to see their little fans at the Railway. The heroic pups will be making appearances throughout the day so visitors can come along and meet the famous pair. Children will also be able to enjoy other fun packed activities such as face painting and craft making. To make the most of the day visitors can buy a Rover ticket which allows unlimited travel on the railway for the day. Chase and Marshall will appear in Oxenhope Exhibition Shed throughout the day, times will be released nearer the event. There will be free entry to anyone with a KWVR ticket to travel otherwise the following prices will apply. Please note people with a travel ticket will be given priority entry, there will be a queuing system in place for anyone wishing to pay on the door. Free entry for dads on Father’s Day! Plus enter the Bushtucker Challenge!